お父さんに比べて息子は野球はあんまり上手じゃない。/ Compared to the father, the son isn't a very good baseball player. ・Sapporo is a wonderful city, but compared to Tokyo there are few restaurants and bars. ・Compared to McDonald's, the hamburgers at Mos Burger are higher quality. ・Greg can play the piano a little, but compared to Mike he isn't that good! ・Compared to New York City, prices in Toronto aren't that high. 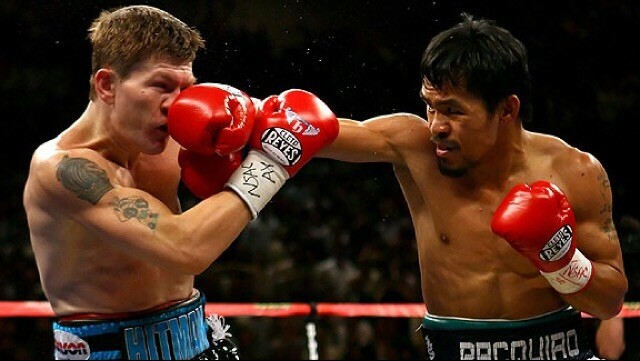 ・Floyd Mayweather, Jr. is an incredible boxer, but compared to Manny Pacquiao he doesn't punch that hard!